We reserve the right to amend these Terms and Conditions at any time and without notification. Your continued use of the site represents your agreement to be bound by any such changes, which are effective when posted to the site. Unless explicitly stated otherwise, all services provided by the site are subject to these Terms and Conditions. Entouriste has no liability for your interactions with other visitors or users of the site. We reserve the right, but have no obligation, to monitor disputes between you and other visitors or users. We may terminate your use of the site and its services at any time and for any reason at our sole discretion and without notice. You agree that you will not submit content or post comments that are unlawful, obscene, defamatory, libelous, racially, ethnically, or socially offensive, or are otherwise inappropriate. In addition to removing inappropriate content and comments, Entouriste reserves the right to take any appropriate legal action against anyone who violates this provision, including, but not limited to, reporting you to law enforcement agencies. All comments are subject to our approval and we reserve the right, but do not have the obligation, to delete any inappropriate, offensive, or spam comments, as well as comments with invalid or improper e-mail addresses and/or URLs. Comments are the property of their authors and are not necessarily representative of the views of Entouriste, its sponsors, or its editors. When you post comments, you are granting Entouriste and its affiliates a perpetual, non-exclusive, royalty-free, fully-paid, transferable, sub-licensable, worldwide license to use, adapt, display, modify, publicize, reproduce, re-format, prepare derivative works of, and distribute your comments for any and all purposes. Creating an account with Entouriste gives you access to submit content to the site. Submitted content is published in our sole discretion. If you open an account on behalf of a company or other entity then you represent and warrant that you are an authorized representative of such organization and have the ability to agree to these Terms and Conditions. You are responsible for the security of your username and password and agree to notify us immediately if you believe the security of your account has been compromised. You may close your account at any time by sending an email to [email protected]. The site (including all text, images, graphics, video, audio, and other content contained on the site, collectively referred to as the “content”) is protected by copyright as a collective work or compilation under United States copyright law. Unless otherwise stated, the content is owned by Entouriste LLC. As a visitor, Entouriste grants you a worldwide, non-exclusive, non-sublicensable, non-transferrable limited license to access the site, post comments, and submit suggestions, ideas, comments, questions, or other information via our contact form, provided that you agree to be bound by these Terms and Conditions. This license does not include the right to commercial use of the site or its contents. No portion of the site may be reproduced, duplicated, copied, sold, or otherwise exploited for any purpose without express written consent. The content is intended for informational and entertainment purposes only. Such content is not intended to constitute professional advice. Despite our efforts to ensure that all content is materially correct and consistent with the spirit of the Entouriste community, Entouriste makes no warranty, express or implied, as to the accuracy and reliability of the content. By submitting content to Entouriste, you hereby grant us a perpetual, non-exclusive, royalty-free, fully-paid, transferable, sub-licensable, worldwide license to use, adapt, display, modify, publicize, reproduce, re-format, prepare derivative works of, distribute, and otherwise fully exploit your content in any media formats and through any media channels (the “license”). The license includes the right to incorporate the content in digital or print media for distribution, subscription, or otherwise. You acknowledge that you will not be entitled to any royalties or payment for use of the content, and that the license shall continue in perpetuity. You also grant each visitor or user of the site a non-exclusive license to use and display the content through the functionality of the site and under these Terms and Conditions. The license does not grant us the right to distribute your content outside of the terms contained herein. After submitting content to Entouriste, you continue to retain the same rights to such content as you held before submitting the content to Entouriste. What does this mean? 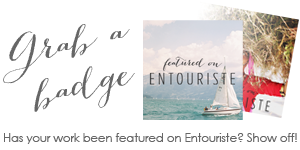 The above license allows Entouriste to publish your images and articles on the site, use in social media (including Facebook, Pinterest, and the like), and publish in our newsletters, city guides, any current or future articles, and other Entouriste promotional materials. 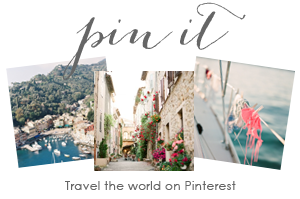 We are also able to re-format your images so that, for example, we can use in thumbnail form around the site, and modify them so that, as an example, we can add text on top for our home page slideshow feature. Ownership of your images does not transfer to us, and we are not able to sell your images. You continue to own the copyright to all of your content. We reserve the right to remove, edit, and modify content at any time and for any reason, without notice. We reserve the right to accept or reject all or part of a content submission. Identify the copyrighted work that you claim has been infringed. If multiple copyrighted works are involved, please provide a representative list of such works. Describe the copyrighted work that you claim has been infringed; please provide sufficient information to permit us to locate that material. Include your telephone number, address, and email address. Entouriste may not be able to act on your complaint if you do not provide this information. Entouriste contains links to third-party websites that are not owned or controlled by us. We do not assume any responsibility for the content, information, products, or services contained on any third-party website. If you access a third-party website, you do so at your own risk and agree that Entouriste has no liability arising from your use or access to any third-party website. We do not endorse and cannot ensure satisfaction with products or services purchased from third-party websites linking to or linked from Entouriste. THE SITE AND ITS CONTENT IS PROVIDED BY ENTOURISTE LLC ON AN “AS IS” AND “AS AVAILABLE” BASIS, WITHOUT WARRANTIES OR REPRESENTATIONS OF ANY KIND, EITHER EXPRESS OR IMPLIED, INCLUDING BUT NOT LIMITED TO THOSE OF TITLE, NON-INFRINGEMENT, MERCHANTABILITY OR FITNESS FOR A PARTICULAR PURPOSE WITH RESPECT TO OUR SITE OR ANY INFORMATION OR GOODS AVAILABLE OR ADVERTISED THROUGH THE SITE. ENTOURISTE LLC AND ITS AFFILIATES, OFFICERS, DIRECTORS, OWNERS, EMPLOYEES, AGENTS, PARTNERS, AND CONTENT PROVIDERS DO NOT WARRANT THAT ACCESS TO THE SITE WILL BE SECURE, UNINTERRUPTED, OR ERROR-FREE NOR THAT THE SITE AND ITS SERVICES ARE FREE OF VIRUSES OR OTHER HARMFUL CONTENTS. ANY USE OF THE SITE AND ITS SERVICES IS STRICTLY AT YOUR OWN RISK. You acknowledge that Entouriste has no control over, and no duty to monitor or take action on who is visiting the site and/or using the services. You release Entouriste from all liability for you having acquired or not acquired content through the site and its services. Entouriste makes no warranty, express or implied, as to the accuracy and reliability of the content. The failure of Entouriste to enforce any part of these Terms and Conditions does not constitute a waiver of our rights to later enforce that or any other part of these Terms and Conditions. If any provision of these Terms and Conditions is found to be unenforceable or invalid, that provision will be limited or eliminated to the minimum extent necessary so that the remaining Terms and Conditions will be fully enforceable and valid. You agree to indemnify and hold Entouriste and its affiliates, representatives and other authorized users, officers, directors, owners, employees, agents, and contact providers harmless of and from any and all claims, causes of action, damages, and judgments arising out of the use or misuse of this site and/or reliance upon its contents. Entouriste LLC’s liability to you for any cause whatsoever will be limited to the amount paid by you, if any, to Entouriste for your use of the site and its contents during your term of use. These Terms and Conditions shall be governed by the laws of the State of Illinois, without regard to conflict of law provisions, and the United States of America. Any disputes shall be governed by the exclusive jurisdiction of the state and Federal courts of the United States located in the State of Illinois.